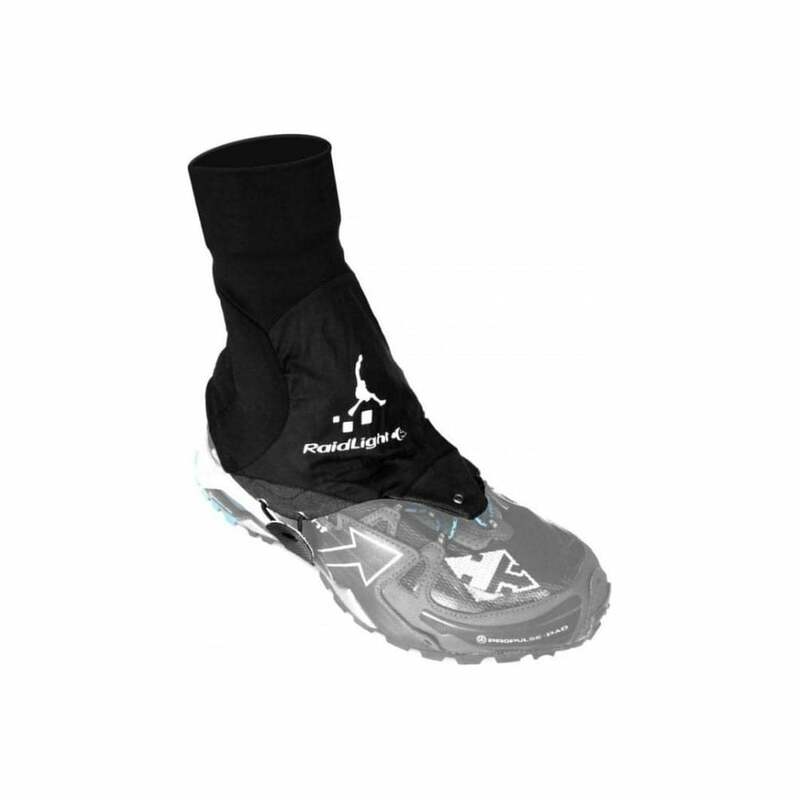 Raidlight Trail Gaiters are a universal fit Trail gaiter. Padded sections to protect ankles. Elastic drawcord around shoe for improved fit. Rip-stop fabric on top of foot for added durability. Comes with hook and loop tabs to fix to heels of other shoes.